Unless you’ve been living under a rock, you probably heard the news about LeBron James signing with the Los Angeles Lakers this past week. James was certainly the highest profile free agent this summer, and many have speculated for some time that he would sign with the Lakers to give him the best possible chance at another ring or two before he retires. Any move made by James is newsworthy, but being that he will no longer be playing in the East for the first time in his entire career the landscape of the NBA will change drastically in the coming years. For some time now, the Eastern Conference has been fairly skint on talented teams with LBJ carrying the weight to balance out the mighty West. Now that he’s moved on, the Eastern Conference is on the cusp of a new era, and the throne is open for the taking. Looking to the upcoming season, let’s talk about what we may be able to expect to see from the Eastern Conference. The Toronto Raptors took first place in the East last season only to completely blow it in the playoffs, subsequently parting ways with coach Dwane Casey. 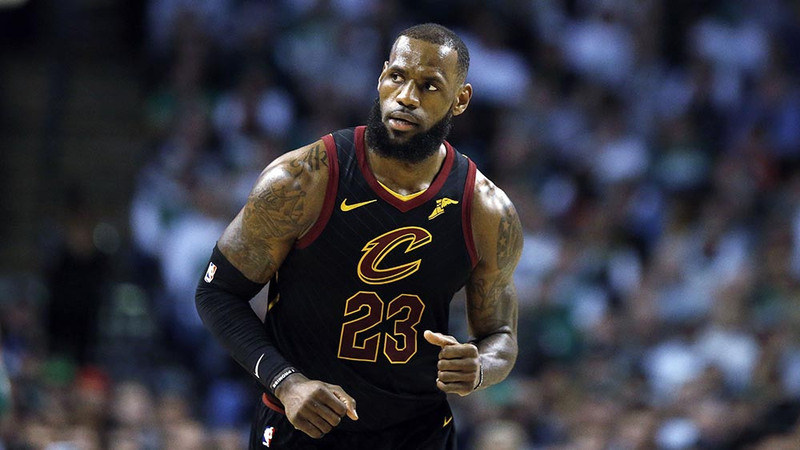 The Boston Celtics and Philadelphia 76ers rounded out the top three with the Cleveland Cavaliers coming in 4th place after a fairly bumpy, and dramatic season. With James out, the Cavaliers are undoubtedly in rebuilding mode rendering them out of the running for the foreseeable future while the Philadelphia 76ers are just now coming out of their “process” and moving into being a very relevant presence in the league. However, the real threat in the East next season will be Boston. Coach Brad Stevens put together a championship level team with a hodgepodge of players who were scrambling to fill the gaps left by the injured Kyrie Irving and Gordon Hayward. With everyone healthy next year, the sky will be the limit for the Celtics organization. I even think they’ll be able to outshine the Warriors in a couple of years’ time to capture the title with a stretch goal of making that happen next season. Toronto will continue to make a splash in the regular season while also continuing to drop the ball in the playoffs, but the 76ers are here to stay. Between Boston and Philly (as they just picked up 6th man of the year candidate Wilson Chandler), I’m confident we will have plenty to be excited about in the East come October. One of the other big stories this summer could involve the Cavaliers shopping Kevin Love in exchange for some prime draft picks for the coming seasons. Love is on year four of his five-year contract with Cleveland, and his championship level experience should allow Cleveland to bring in some valuable assets in his place. Love’s struggle with anxiety this past season seems to be more under control now, and perhaps a move to a new team could give him the fresh start he needs. Love is 29 years old with many viable playing years left so a move to the right team could allow him to again be in championship contention with a more pronounced role that he truly deserves. The NBA is often defined by eras rather than individual seasons, and one of the determining factors is usually the best player or players in the league during that given time. As the career of LBJ comes to a close in the coming seasons, new stars will take his place to become the next face of the league. James has been a dominant force in the NBA since 2003 when he was just 18 years old and fresh out of high school. He has changed and redefined the league in so many positive ways that his impact will be felt in the game of basketball forever. The new recruits coming into the league today were just babies when James first began his career, and his style of play no doubt shaped their understanding and approach to the game. It’s hard to think of such an incredible age nearing its end, but that only means more greatness awaits us in the next round. I’m looking forward to seeing James have success in the West, but for the first time in a very long time, I am more excited about what will transpire in the East this season and I can’t wait to see who steps up to take the crown.